Swing Time 1911-1995 dance theatre Ginger Rogers and frequent dance partner Fred Astaire in the musical cinema Top Hat, 1935. Ginger Rogers dazzled and distracted sad audiences during the Great Depression, bringing a ray of sunshine to many during that dark time. Rogers started theatrical touring at the vulnerable age of 17 during Shani-Zukra bhukti (Zukra-3 Simha touring). However, her mother generally travelled with her for protection. Her mother was Ginger's closest friend, bodyguard, advocate, and business partner. Chandra-9 Mother-figure = muse, guide, devotional. Chandra rules journalistic Budha-2 ++ Chandra drishti to Zukra-Simha-3. Mom was a newspaper theatre critic and journalistic writer, familiar with the ways of Hollywood and the New York drama culture, and always close with Ginger. It was said that Rogers had little patience (Kuja-yuti-Rahu impatient) for those who lacked her lifelong passion (Rahu), discipline (Shani) and drive (Kuja). Mangala in bhava-11 rules Karakamsha Virschika-6 = her scandalous divorces filled the pages of Tinseltown gossip magazines. However according to the marketing dictum, there is no such thing as bad publicity. 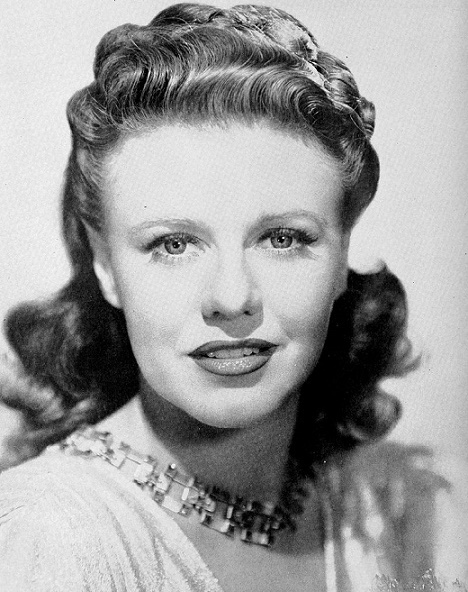 Her revolving-door romances kept Ginger Rogers profile in the public eye, and she remained the highest-paid Hollywood actress for many years. choreographer, writer, ensemble performer, businesswoman During Budha-Budha swabhukti 1940 * Rogers won an Oscar for dramatic, as well as dancing, prowess on the theatrical stage. The widespread unemployment, poverty, and despair of the USA Great Depression drove people to the urban film theatres in great numbers. 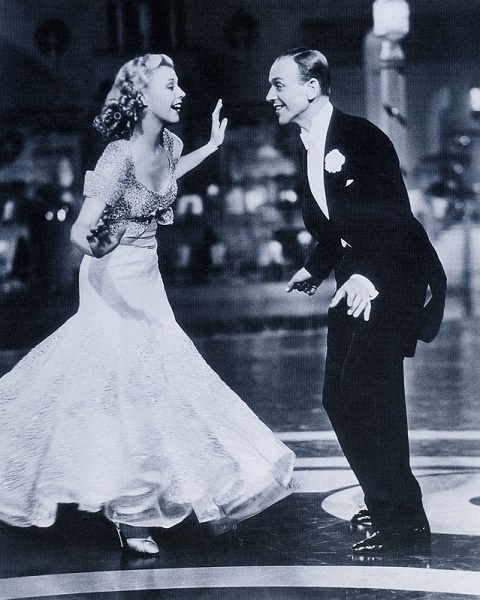 During the 1930's Rogers made nine joyful dancing films with her dance-partner Fred Astaire. The productions featured beautiful set designs, romantic storylines, and upbeat music. Roger's dance films were enormously popular. They celebrated the new social role of the independent "working girl". (Often women in the Depression could find jobs more easily than men.). 1930's celebrity pushed Ginger Rogers into the ranks of highest-paid actress in Hollywood, and her income provided her investment capital to fund her real-estate business in retirement. Rogers-and-Astaire films are still enjoyed today. Ginger's parents were fighting over her custody during their divorce. Her father kidnapped little Ginger and after this crime, he abandoned the family. Her mother aimed to create a Hollywood career and left Ginger in the care of her grandparents. Although Rogers' earnings from entertainment performances began to dwindle in the late 1940's, the twenty-year mahadasha of Zukra ran from 1963 until 1983. She managed her own stock portfolio, which was a very unusual empowerment for a woman in that era. The long-lasting Zukra Mahadasha combined with the signature speculative-finance advantage of Zukra-3 commerce. 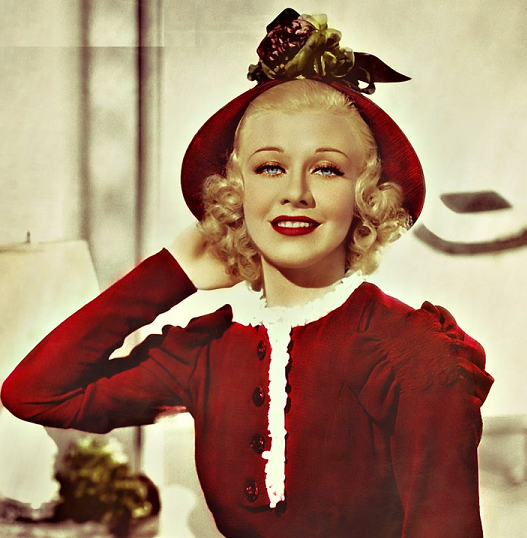 Most remember Ginger Rogers as a remarkably talented, attractive, and vivacious dancer who wore a spectacular array of beautiful, flattering costumes as she played various romantic female roles to the leading male performers of the time. She remains best known for her oft-repeated role as Fred Astaire's romantic and dancing partner in a series of hugely popular and iconic Hollywood musical films. Shani-yuti-Rahu = both in Bharani-11 = networked passions working toward the revenues, disciplined, productive. 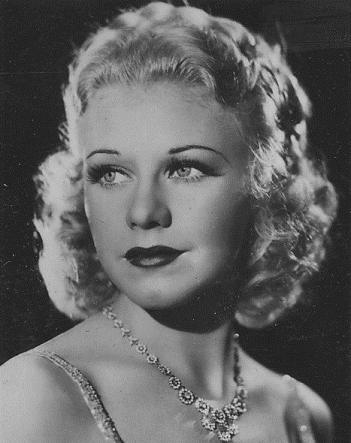 Ginger Rogers produced 70 movies, many of which represented the best Euro-American performance dancing of her century. Her dance partner Fred Astaire commented that Ginger was the hardest-working woman he had ever known. 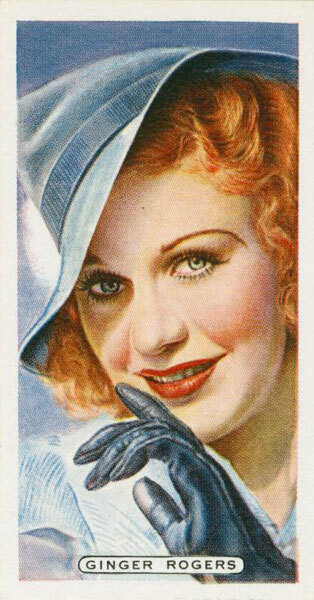 An appreciative audience found in Ginger Rogers an icon of the light-hearted, unmarried working girl (Shani-1 work identity) This new social identity started in US society just about when Ginger started, in the late 1920's. Guru-yuti-Ketu = Thula-5 with an intense drishti of Rahu-11 + Shani-yuti-Mangala-11 indicating her multiple marriages and divorces. She married and divorced five times. All of her ex-husbands spoke well of her. During the Ketu years, except for making her fifth marriage-and-divorce arrangements, Rogers had little Hollywood involvement in either cinema or television. She appeared to have fallen off the cultural and professional radar, as would be expected of an aging actress in a fickle industry. However, in 1965 when Zukra-Zukra swabhukti began, she returned to the stage and screen with both Broadway and television success.